It’s time to give root vegetables a shot this season! In a few more weeks, we’ll all be gardening in earnest. Many gardeners already have started their seeds indoors, and are prepping their garden beds for the season ahead. As you plan and prepare for gardening, you should definitely consider giving root vegetables some space in your rows. 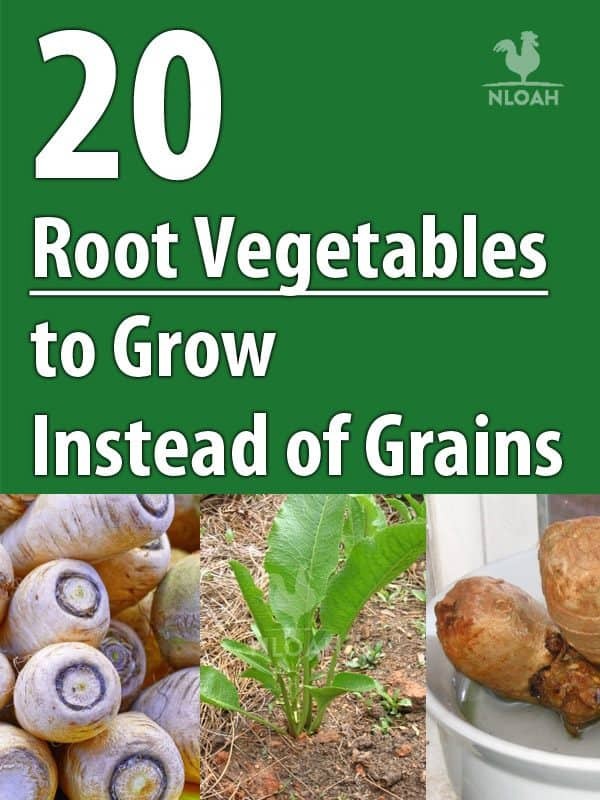 Root vegetables are easy to grow; many can even be grown twice in a typical gardening season. They are delicious, and many of these ancient vegetables have tremendous health benefits as well. Let’s look at 20 delicious root vegetables you should be growing in your garden this season. Beets are the quintessential root vegetable. If you aren’t already growing beets, you definitely should. These delicious vegetables can be planted in early spring, harvested mid-summer, and then immediately planted again for a mid-fall harvest. Beets come in a variety of colors and sizes, from the standard, bloody red to the candy cane-striped beauties, to delicious golden beets. While waiting for this root vegetable to mature, you can also take advantage of delicious beet greens, too; they are really tasty sautéed. Beets are loaded with vitamins, minerals and antioxidants, so they are truly a superfood. There are many ways to prepare them, too; from traditional side dish, to beet juice, to pickles, and even as a meat alternative on a sandwich, beets are one of the most versatile vegetables out there. Parsnips are another great vegetable to make space for in your garden. 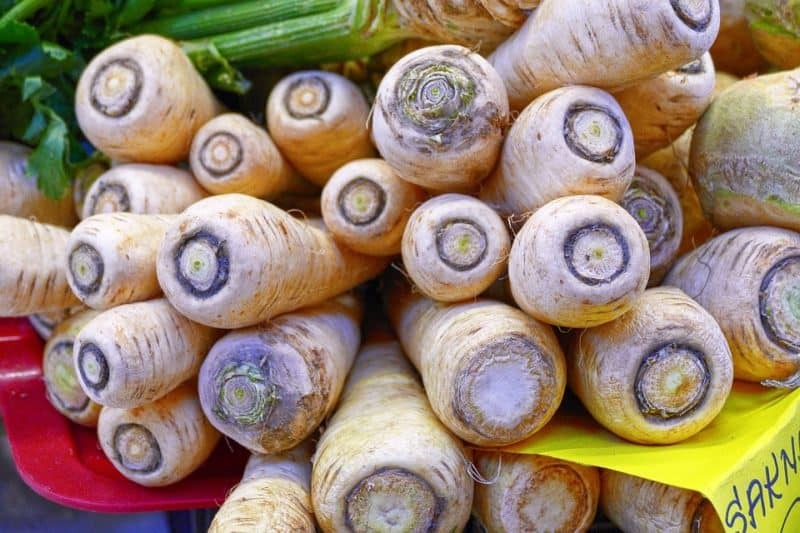 These whitish, carrot-shaped root vegetables are easy to grow. Parsnips are the perfect replacement vegetable to grow after crops like lettuce have gone to seed. They are high in vitamin C and manganese, and surprisingly low in calories. Plant them late in the season, and harvest the delicious roots after the first hard frost to allow the starches to truly concentrate in the root. Parsnips are the perfect vegetable for stews and soups. They are also a terrific side dish as well; try preparing some roasted parsnips the next time you want a great side dish to accompany beef or pork. It might seem like a waste of time to grow carrots in your garden. After all, you can buy ten pound bags of them at the local warehouse superstore for almost nothing, right? However, there are many different varieties of carrots; some are bright red, others are dark purple, and they are all loaded with nutrients. Carrots thrive in raised beds with loosely packed soil. They are another great direct-sow root vegetable, and the different color varieties are top sellers at the farmers market. And you don’t have to settle for using carrots as a side dish, either. These vegetables are great pickled, in relishes, or even as an infusion to add flavor to your favorite whiskey as well. Turnips are another must-have root vegetable to add to your garden this season. Turnips are easy to grow, and come in many different sizes and varieties than the standard, dull types you find in the supermarket. Many heirloom turnip varieties are packed with antioxidants and vitamins, and literally loaded with flavor. They are delicious in stews and soups, or as a complement to a meat dish. Turnips do well in loose soil with a moderate amount of spacing between plants. The greens are loaded with flavor and packed with vitamins as well. Jerusalem artichokes are not artichokes at all, but are close relatives of the common sunflower. This perennial vegetable produces a medium-sized tuber that many consider to be like a potato. The great thing about Jerusalem artichokes is that they are super easy to grow. They are also hard to kill, and spread so fast that they are practically invasive. 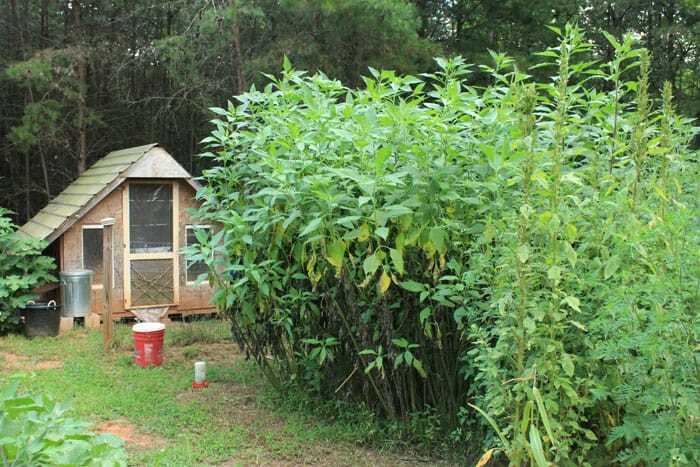 A few of these plants will take over space in a garden bed quickly. Plant some of these in a neglected corner of your garden, and watch them come to life. You can prepare and use Jerusalem artichokes much like you would potatoes. Try making a dish of them herb roasted when you need a delicious side dish to complement some wild game, or poultry you raised on the homestead. Radishes are another delicious root crop you should be growing in your garden right now. These spicy root vegetables are easy to grow, and delicious in salads. They are also popular sellers at farmers markets, online or community supported agriculture (CSA) programs, especially the more unusual varieties. Like several of the other root vegetables discussed here, radishes do well in raised beds and loose soil. And don’t just throw away those greens, they are delicious and packed with vitamins as well. While radishes are a vegetable that you’ll want to pop into your mouth raw, consider other ways to prepare them; roasted radishes are a delicious treat! Yes, yes, you can practically buy pallets of potatoes at your local warehouse superstore; why bother growing them at all? Well, there are some unique varieties of that you’ll never find for sale at the store; they are delicious and often sell well at the farmers market. Potatoes can also be grown just about anywhere, and they are easy to store for long periods of time as well. If you want to experiment with something different, try growing your potatoes in containers; even old garbage cans can work as potato beds. If you use containers, you’ll be able to harvest a surprisingly large potato crop in space that would otherwise go to waste. Rutabagas another delicious root vegetable that people don’t usually grow in their gardens, but should. Rutabagas are actually a cross between a cabbage and a turnip. This vegetable resembles a turnip, although the flesh is a bit creamier than their close relative, and has a unique taste all its own. Rutabagas are rich in antioxidants and anti-cancer compounds, and are a good source of vitamin C and fiber. Rutabagas are great baked, mashed, or sliced and fried; treating them like a potato is a good way to go. This is another great mid-season replacement crop that you can harvest in the fall. So watch for your lettuce or other greens to start wilting, and plant that rutabaga! Who doesn’t like sweet potatoes? They are a time-honored favorite at all of our holiday dinners and family gatherings. They are also extremely nutritious, and filled with vitamins, as well as potassium and magnesium. And they’re not just for Thanksgiving, either; try running a peeled sweet potato through your juicer some time, and have a delicious healthy sweet potato smoothie for breakfast. 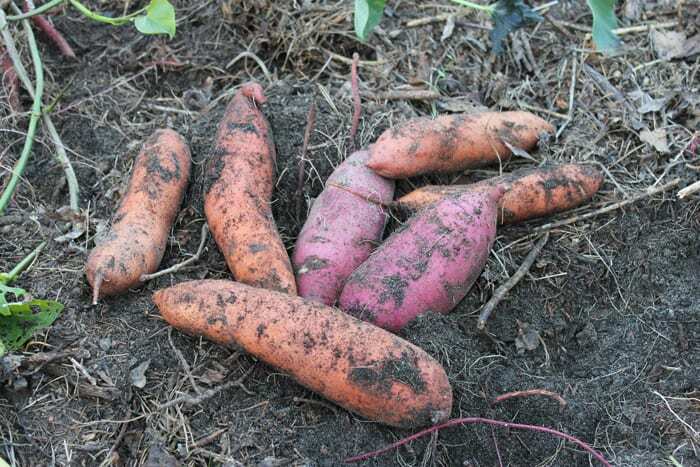 Plant your sweet potatoes after the danger of frost has past, and harvest them in late summer or early fall. Like potatoes, these root vegetables can grow in containers as well, so put all of that unused space on your homestead to work growing sweet potatoes! Yes, onions are another common vegetable that is cheap to buy in bulk. However, there are only a few types of onions usually available at the supermarket; you should try some of the less common varieties, such as Red of Florence or the Flat of Italy onions in your garden this season for a real treat. Onion seeds are often started indoors, and then planted outside, evenly spaced in a well-mulched bed. Onions are a part of too many dishes to account for here. However, you should always look for new ways to enjoy them; they are great as pickles, for example, or even as a garnish in drinks like the Patton Martini. Garlic is another great crop you should be growing. There are many great varieties out there, and many have rich, unique flavors. Once you start growing your own garlic, you’ll never stop. Buy some good “seed garlic” from a trusted garden store or online. While you can plant store-bought garlic, it is better to find the best variety to grow in your particular climate. Plant your garlic in fall, and harvest the next summer. Garlic is another plant that has many uses beyond its traditional role in seasoning meats and flavoring sauces. It can be used to repel mosquitoes and other pests, and enhance the cleaning power of vinegar spray cleaners as well. Horseradish is another hardy root that most people are familiar with, but don’t grow that often. This year you should make a change, and start growing horseradish in your garden. Horseradish is another super hardy plant that will grow in most soil conditions. It is normally grown from root cuttings you can obtain from good garden stores or online. Plant it in early spring, and in late summer or early fall, you can harvest the roots. Save a little root cuttings yourself, and you’ll have a never-ending supply of this spicy vegetable. Horseradish is often used to make the eponymous sauce it is famous for. However, you can also mix some ground horseradish with sour cream or yogurt to make a tasty dip. Or sprinkle some in to make memorable mash potatoes. Horseradish is also a great ingredient to spice up your Bloody Mary, too. Chances are you have a bottle of ground ginger in your spice rack. Well, if you have a moderate enough climate, you can grow your own ginger at home, too. This spice has a ton of terrific uses. It can turn nearly any bland meat or poultry dish into something special. Dried ginger root can also be used to make a delicious, spicy tea. You can also use it to make your own ginger ale, or alcoholic ginger beer. Get some rum and lime juice and you can make a Dark and Stormy cocktail with your own home brewed ginger beer! Ginger is reputed to have many health benefits; many people believe it helps with nausea, inflammation, and cold and flu relief. In any case, it is a delicious herb with many uses, and you should be growing it at home. Celeriac is another uncommon vegetable that you should be growing in your garden. Technically speaking it is less a root vegetable than a “fleshy stem” vegetable, but regardless, you should make space for it in your garden this year. Celeriac is a great source of magnesium, manganese, several vitamins, and high fiber. Start your celeriac seeds as early as possible, preferably in a cold frame. The plant prefers moist, humus-rich soil and full sun. Harvest the “roots” in early fall. If you want to spice up a meal, try some baked celeriac alongside your favorite meat or poultry dish. Kohlrabi is a close relative of the cabbage. Like celeriac, it has an extremely fleshy root-like stem that tastes quite like a cabbage heart. This strange looking vegetable is delicious, and is always an item of interest at farmers markets, too. So grow some in your garden. Kohlrabi is loaded with iron, potassium, and many other vitamins and minerals. It is easy to grow, too. Most people sow seeds indoors early, then plant after the last frost. The leaves are delicious sautéed or in salads, and the “roots can be harvested in early fall. Try roasted kohlrabi the next time you want to have a unique dish to complement poultry or seafood. Also known as a winter radish, daikon are a unique, tasty root vegetable you should try to grow this year. They are long, bright white, often large root vegetables with a flavor as unique as their appearance. They grow late in the season too, so they are a great replacement crop for vegetable plants that are done or have gone to seed. Direct sow daikon seeds in your garden in late summer. Like other root vegetables, they like fertile, loose soil. You can enjoy the greens as the plants mature. Harvest the daikon roots in fall, after the first frost. Daikon are great pickled, in salads, or made into relishes. Salsify is an uncommon vegetable, rarely grown and hard to find in the market. It is one of the older root vegetables, and is said to have been cultivated during Roman times. 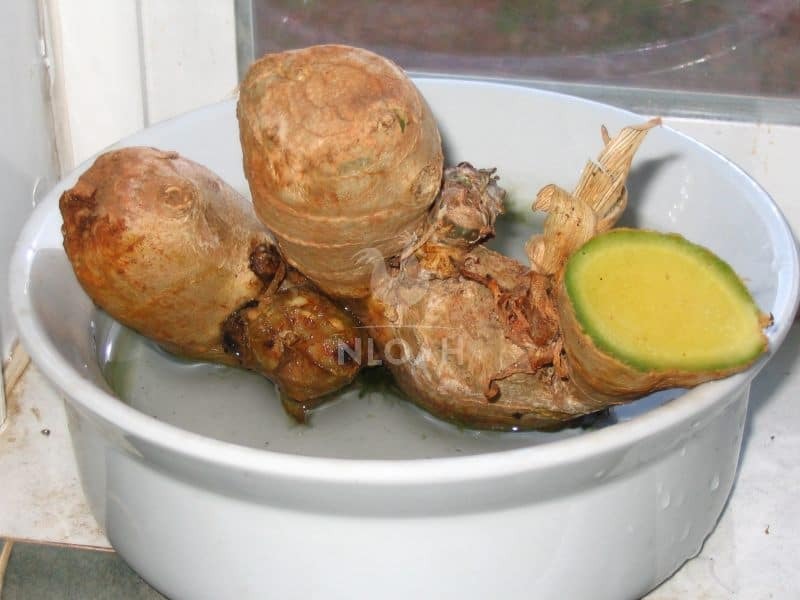 It is a delicious, unique looking root vegetable that definitely deserves a spot in your garden.. Additionally, since it is somewhat rare, this is another good root vegetable to grow for farmer’s markets or local restaurants. Direct sow your salsify seeds in loose garden soil in early spring. 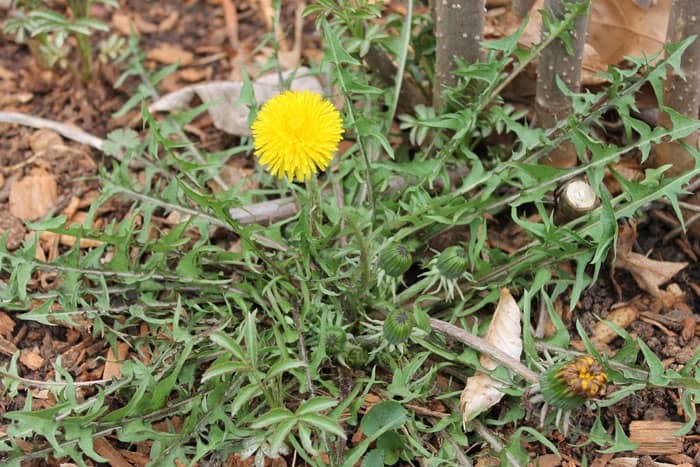 You’ll need to keep weed the garden bed frequently, since salsify grows slowly. You can also use the greens in salads, or sauté them. Harvest your salsify roots in fall. Try oven roasting your salsify roots for a real treat. Crosnes are another rare root vegetable that are easy to grow, and a great addition to your garden. They are a perennial root vegetable, and their irregular-shaped tiny tubers have a texture and flavor similar to a water chestnut. Plan tuber cuttings in early fall in loose soil, and mulch. Let the plants grow through the winter and the next warm season. Harvest the tubers after the first frost, leaving some to spread for next season’s crop. Try sautéing them with peas and garlic for a really wild-tasting, unique dish. Yes, you read that right: dandelion is not just a weed, it is a root vegetable, too. And chances are you are already growing it all over your yard, so you might as well make use of it! Dandelion roots are delicious; their taste is somewhat similar to a parsnip. You can also dry and grind down dandelion root to make a tasty coffee substitute, too. Use a shovel or a dandelion weeding tool to dig up a few dozen roots. Peel them with a potato peeler, and then prepare them like you would turnips or parsnips. You’ll find the best, thickest roots in loose, disturbed soil, like a garden bed. Dandelion root is great served alongside fish or wild game. If you use the roots to make tea, put a teaspoon of honey into it, then pack a thermos of the tea when you go trout fishing. Here’s a root vegetable you can forage for free. Chances are you have a pond or marshy area with some cattails growing in it. Most wetland areas are absolutely choked with them, and they are easy to identify. 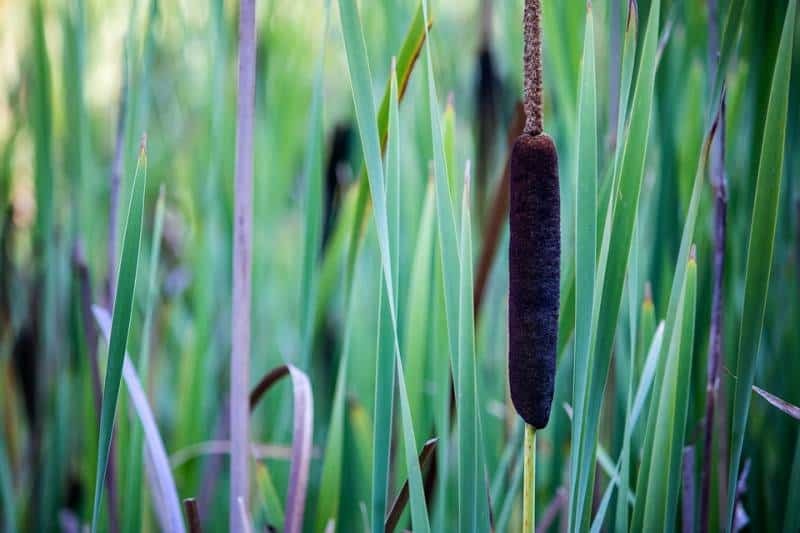 May parts of cattails are edible, including the fibrous cattail root. The starchy root is often dried out and used to make a sort of flour, which you can use to thicken soup or casseroles, or mix with wheat flour to make uniquely flavored breads and rolls. Venture into a cattail marsh with a small shovel; late fall or early spring are the best times to gather the rhizomes. You’ll have to dig into the cold, muddy water to get to the network of rhizomes, and use a small branch cutter to get manageable pieces of them. Once you gather a bag or so of the cattail rhizomes, you can take them home, dry them, and grind them into cattail flour. While it isn’t a replacement for regular wheat flour, cattail flour’s unique flavor is definitely something worth trying. With few exceptions, most of the root vegetables described here have one thing in common: they all need loose, fertile soil to grow in. You will have to work the soil hard in your garden to get it loose enough for your root vegetables to do well. Failing to do so will lead to stunted, misshapen vegetables, or an overall crop failure. If your garden soil is too rocky and compacted, or otherwise not up to the task of growing root vegetables, you do have another option: raised beds. Raised bed gardening consists of building small walls, anywhere from 6-18 inches in height on the ground, and then filling them with loose garden soil. This can help you overcome the shortcomings of poor rocky soil in general, and is a particularly good choice for root vegetables. You can purchase lumber to make raised beds; you can even buy the raised beds themselves if you want to. Cinderblocks are often used to make the walls for raised beds as well. If being thrifty is the way you do business on your homestead, logs, old lumber, and rocks can be used to make raised beds as well. Fill your raised beds with good, loamy garden soil, and mix in some compost as well. After harvesting your root vegetables, add additional compost to the raised beds, and use a pitchfork to work the soil to ensure it stays loose. One of the best things about root vegetables is that they’ll last for a long time without refrigeration. Store them in a cool, dry place, like a basement, and most of them will keep for several months. Alternatively, you can consider constructing a root cellar on your homestead. A root cellar is a simple, dug out structure that takes advantage of the earth’s cool, stable temperatures and low humidity to store crops like root vegetables. If you don’t have the time, space or funds to build a root cellar, no worries; find a cool, dry dark place in your crawlspace or basement, and use that instead. Also, many of these vegetables are also great for pickling, too. Root vegetables have often been passed over in gardens in favor of tomato, pepper and squash plants. But those days are coming to an end. More and more people are growing root vegetables, and they are increasingly popular due to their many reported health benefits. These plants are easy to grow, delicious, and full of nutrients. So what are you waiting for? Make a raised bed or two, and plant some root vegetables in your garden this season!